Our approach to Drama stems from belief that the Performing Arts are of great benefit to the personal, social and academic development of our pupils. 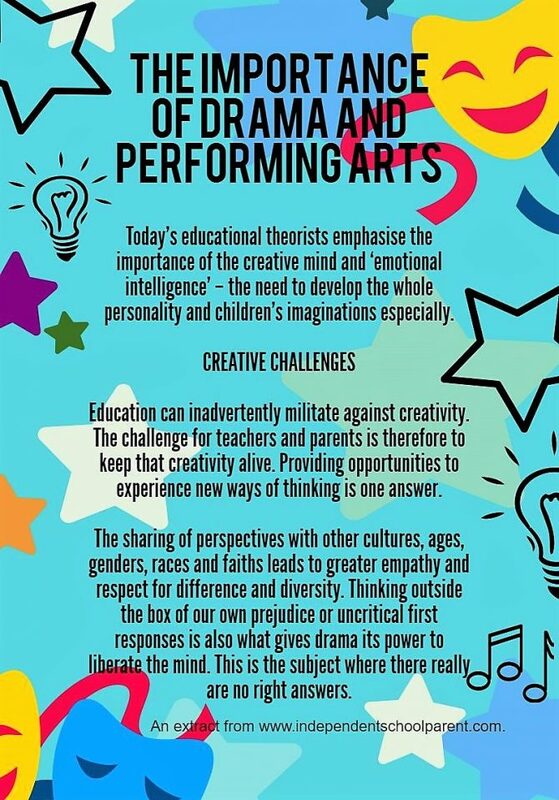 In a largely traditional academic environment, Drama allows a space for pupils to learn new practical and creative skills and, perhaps most importantly, to develop new kinds of understanding about trust, tolerance, confidence, empathy and compassion. In the Lower School, pupils follow Arts Award pathways to endorse the quality of their work. We work in partnership with our local theatre, the Octagon, to open opportunities for pupils to meet creative practitioners, observe work behind the scenes of a vibrant regional theatre and to enjoy live performances that directly pertain to their class projects. Lower School lessons explore the full range of practical and design skills including lighting, sound, script writing and set-design. 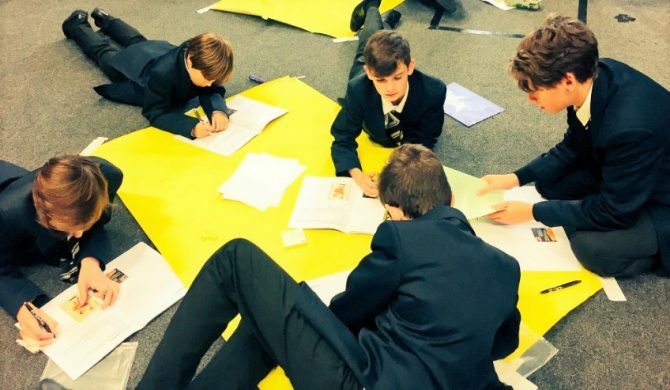 Year 8 boys apply Classical archetypes to explore character roles and status. We offer Drama at GCSE and Theatre Studies at Advanced Level, the latter is taught in conjunction with the Girls’ Division. Lessons take place in the McKellen Studio Theatre and the Girls’ Division Theatre and the approaches we teach reflect both the time-honoured and contemporary practices of a broad range of theatre practitioners and companies. The skills the subject fosters are taken very seriously by university admissions officers and employers. Tertiary education providers value highly the creativity, good organisation, self-discipline, communication and presentation skills and ability to work in a team that the subject demands. 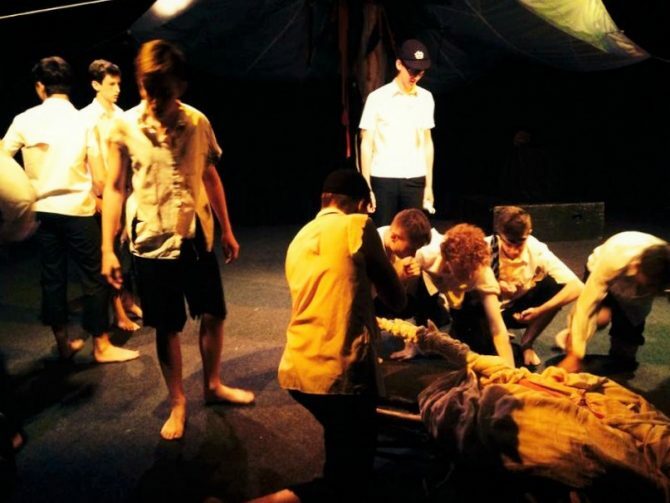 Year 10 boys perform in an adaptation of William Golding's 'Lord of the Flies'. The creative arts departments at Bolton School collaborate frequently, creating an exciting programme of events for our students, feeder schools and local community. We stage productions throughout the year, including musicals, straight plays and student directed and devised work. These events are open to the public; invitations are communicated with parents via email and advertised on the School’s various digital platforms. 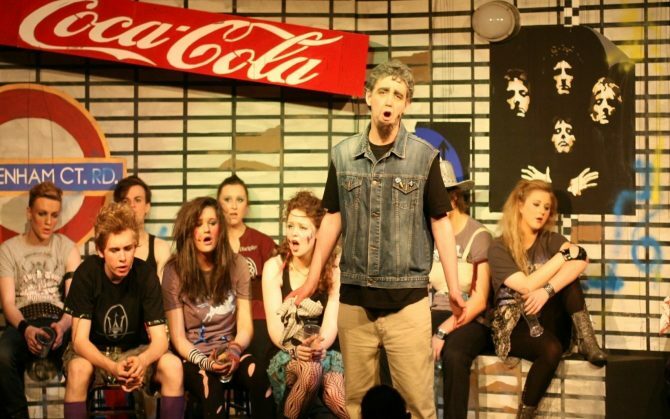 Senior pupils perform in 'We Will Rock You'. We recognise that an intrinsic value of creative arts subjects is the development of creative, imaginative, physical, emotional and intellectual capacities. As such, Drama also features within the School’s PSHE curriculum and House system activities. This year, Roughhouse, our theatre company in residence, will explore the topics of democracy, law and race with our Lower School pupils. Pupils will generate material for and perform in a piece of theatre commissioned by the school. Pupils also explore the topics raised by our current shows in production during form time. Examples of current form time activities can be found here.